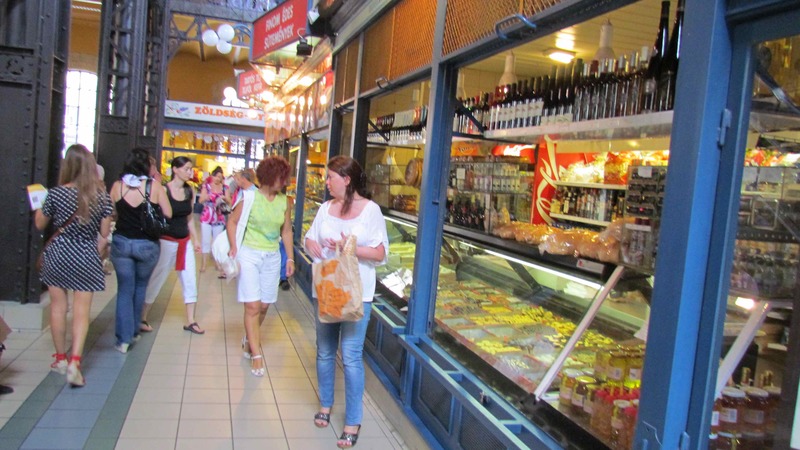 Each morning we go out and buy our daily fresh foods, but usually we don’t make it as far as the Great Market Hall, with ABC, Tesco Express and Spar markets, all on our city block. 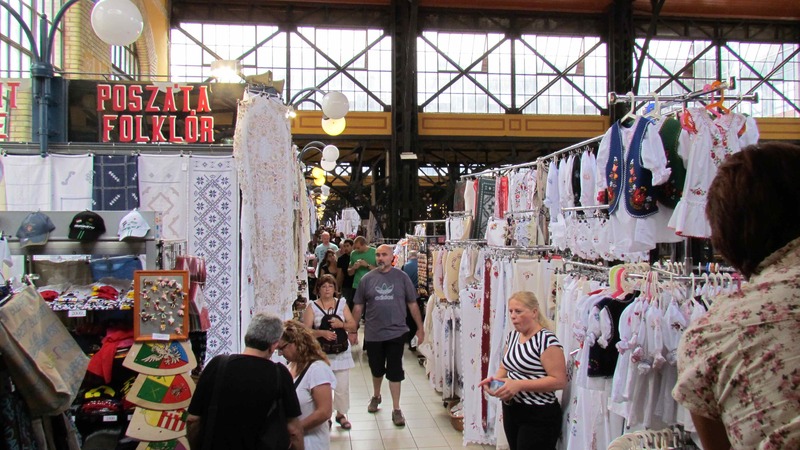 On special days, where I might crave a fresh Langos, (fried bread) or a Retes (thin pastry with fruit fillings) we walk towards the Pest end of Liberty Bridge to the Great Market Hall, where you can find anything and everything Hungarian. The Great Hall was created at the same time when the three cities, Buda, Pest and Obuda, united to create Budapest at the turn of the 19t-20th century. 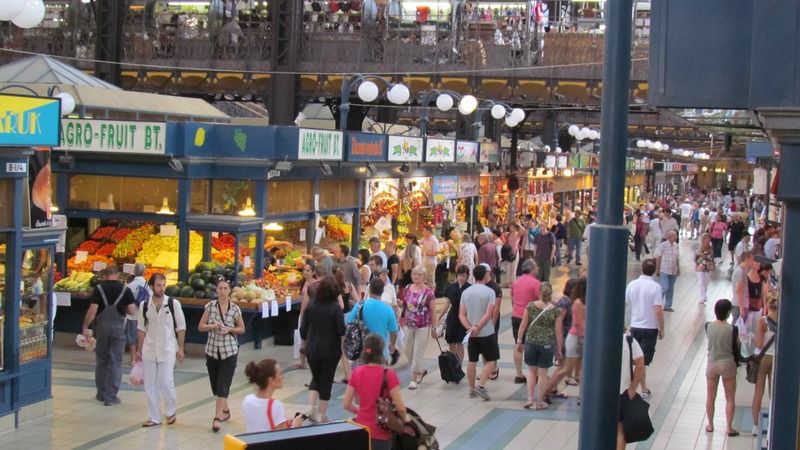 Once the city was unified the chaotic outdoor markets couldn’t adequately supply its people, and the city leaders decided to build giant covered market halls similar to other European cities, to fix the problem. 1894 the build started but had a set back when a fire burned down the roof and was finished in 1897. 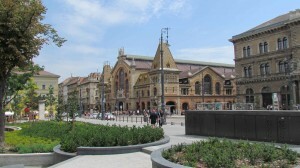 It was completely renovated in 1991, when they covered the big roof with Zsolnay tiles. It is stunning from the outside. It was the perfect day for pictures, and they turned out like a Fairy Tale. Entering the bustling market, a waft of different smells hit my nose. Bakery sweets, sweet peppers, and food cooking for lunch intertwine. The glorious colors of the stalls invite you. Dried salamis hang from above. 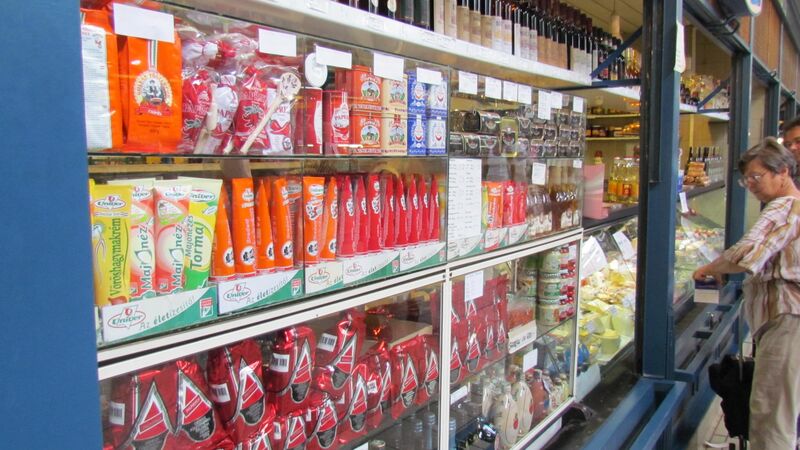 Bakery items displayed through glass windows. 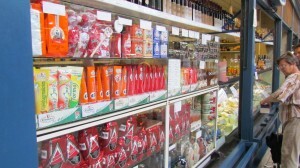 Butchers cry out their specials and try to entice a purchase. 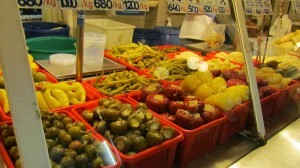 Veggie and fruit stands have beautiful Hungarian yellow peppers displayed and are a staple in the Magyar diet. Up stairs you can find souvenirs; hand embroidered blouses, traditional leather crafts, tacky Budapest Hungary shirts and knick knacks. Personally I give Hungarian Paprika as gifts. We put paprika in all our stews, on our meats, and even sprinkled on top of fresh salads. The better quality the richer the flavor. I like ‘Csipos’ or hot, but ‘Csemeges’ or sweet is what we give as a gift. Also, upstairs are the restaurants and food stands. 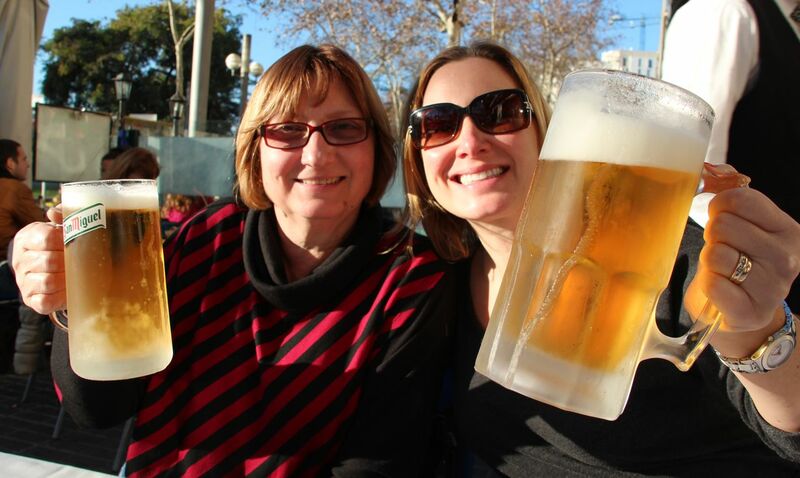 You can find all the traditional foods; paprikash chicken, goulash soup, handmade cabbage rolls, fried meat and fish in buns, with all of the fixings. Gluttony is my favourite sin and this market is a culinary dream. The market has 3 floors. I have been coming here my whole life and this was the first time I went to the basement. 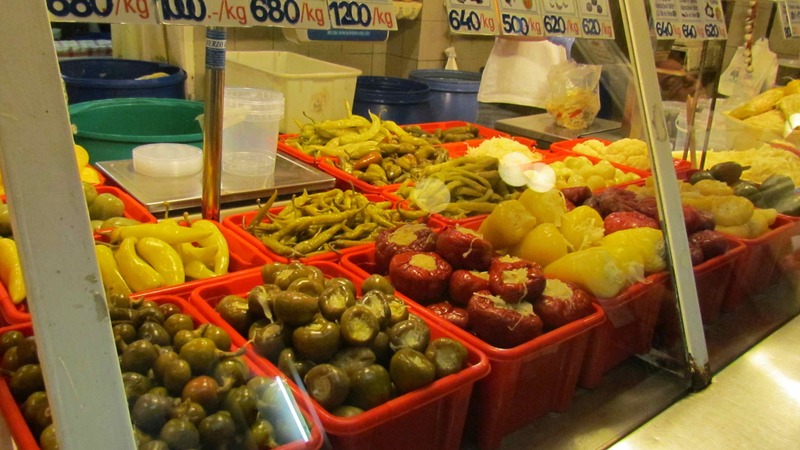 The pickled items and fishmongers lurk below, as well as all wild meat vendors. My brother has always loved wild stews, and the last time we travelled to Hungary together he never missed an opportunity to eat it. I couldn’t help but think he would love to discover the hunter’s haven and hear the story of times past. Back in the day people brought their products via the underground channels. Not in use anymore, but interesting to know that there are secret tunnels below. Very KGB. You have to say it in a Russian accent! 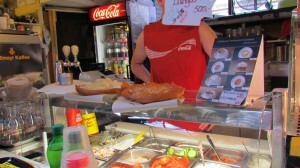 Today we ate Langos for breakfast. Deep fried bread, traditionally eaten with salt but I like mine covered in garlic. Alfonz likes his with garlic, sour cream and cheese. 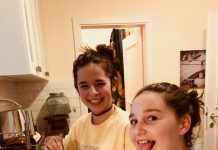 The kids prefer just cheese but you can have it with a variety of pizza like toppings. Like you need to make this tasty dish anymore calorie rich. Where once I could eat two without blinking, I now sadly couldn’t finish one. For people with a sweet tooth, they also offer it with jams, fruit and chocolate toppings. I don’t feel bad about the rich foods. We walk 4-6 hours a day, up and down eight flights of stairs. I feed my soul, and like the Hungarians before us, we were raised on this stuff. 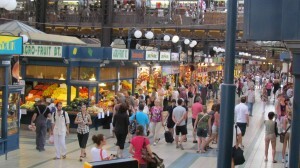 If you are in Budapest, the Great Market Hall is not to be missed. 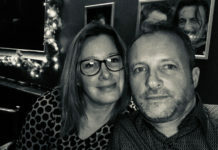 Previous articleHouse Hunters Return – Where Are They Now? 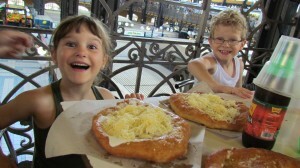 I love the smile on the children’s faces as they try to tackle their huge langos! What a nice day to have this adventure. 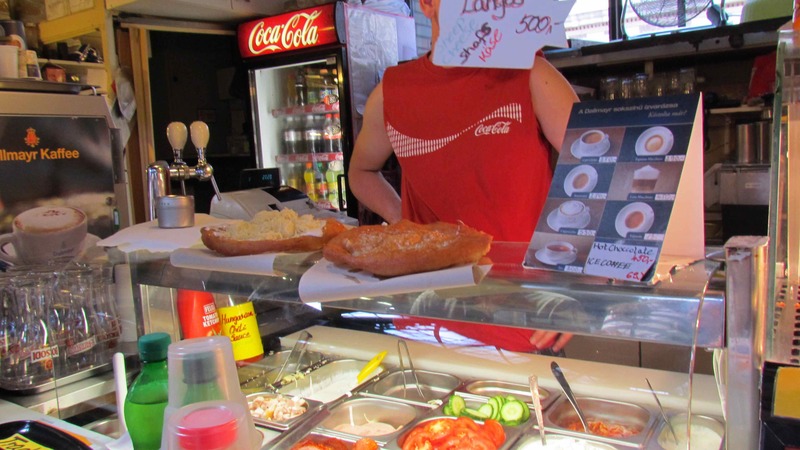 I’ve never had Hungarian food, but I love trying new cuisines so I really have to hunt some down! 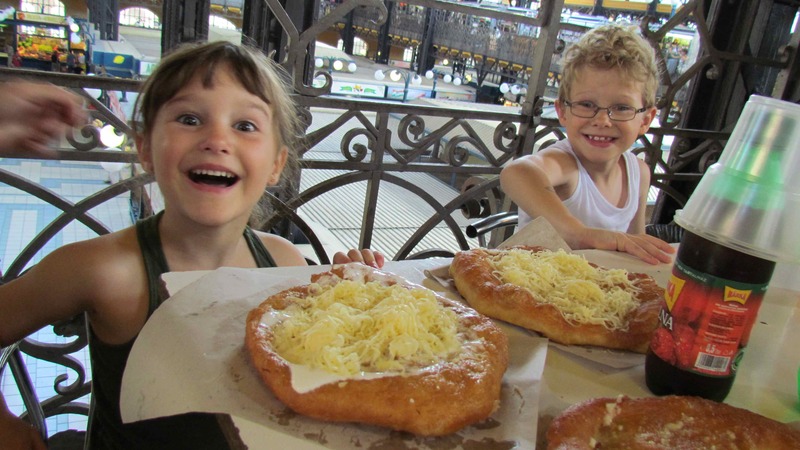 Markets are my favourite and it looks like your children love them too, what a great photo. Perfect timing! I leave for Europe in 1 1/2 weeks and Budapest is on the itinerary. I was planning on going to this market but now I definitely will be! 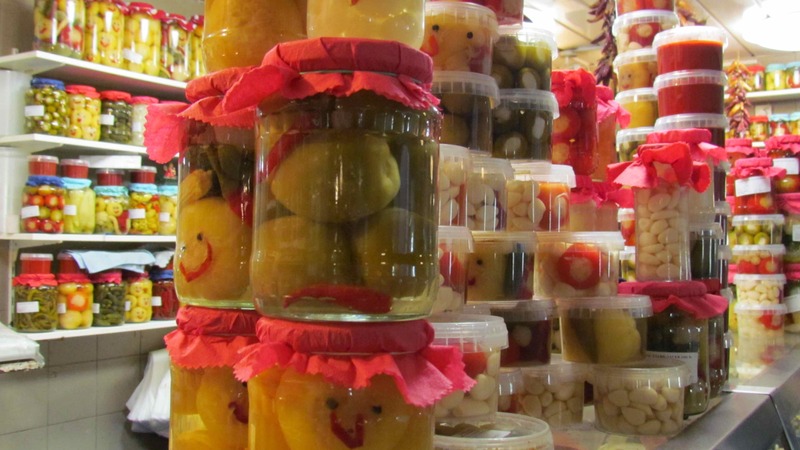 Can hardly wait to buy some of the paprika to bring home – both hot and sweet. Goulash soup is one of my favorites 🙂 I’m excited. Just my kind of thing!